I aggree with everything said in this testimonial. We have a number of naturopaths and chiropractors among our clients, who have kindly shared their experience from a personal as well as a professional point of view. Gabriele Engstrom, Quantum Biofeedback specialist. Great thanks to Amy & Norbert for awarding me the prize of a complementary XBody session in their facebook competition!! They are truly some of the nicest people you can meet. I was very excited to have my first XBody experience, knowing I would be transformed to some degree. The XBody experience has highly exceeded my expectations!!! It is my professional opinion that Norbert and Amy at XBody are using this cutting edge fitness technology in a very responsible manner…First, the muscle building pulse was delivered in the beginner sequence. As the body is electrically being PULLED IN, it is quite a different experience to even raise your arms above the head. The XBody system delivers more electrical charge to your body than the brain can do alone in voluntary muscular action. The addition of the voluntary muscular movements and isometric poses, or graceful motions further leverages this amazing electrical PULLING IN of the body, beneath the electrodes of the XBody suit. This elicits an interestingly EVEN, gentle electrical stress on the whole system in 360 degrees. The whole system is BIOELECTRICALLY UNITED to a large degree. This IMMEDIATELY increases the energy EFFICIENCY utilizationof the body as a whole….The next phase of the session was a certain cardiovascular frequency program. I was amazed as my heart started racing, and pounded rather noticeably despite the fact I was not obviously exerting myself. Because it doesn’t appear you are working hard, you are surprised at the isometric resistance of the electrical stimulation. It is a different experience from anything else completely. Once your system realizes what is happening, then it adjusts and gets used to the new experience. The electrical Nature of the body dictates electrical tools to organize it. The West is starting to realize this. All of the crystalline structures of the body received a piezo-electrical charge, due to micro current stimulation of their crystalline nature. The silica of the skin, the cell salts, the circulatory systems, adipose [fat ]cells, the lymph, the nervous system and the pineal gland and the oils of the pituitary gland are all crystalline; therefore all of these cells generated an increased piezo-electrical energy effect as the result of receiving the XBody micro-current stimulation. The penetration of the electrical current went unto the bone marrow, which produces the blood cells. This is how the bone density would be improved over time, as well as the quality of blood production. The bones, as living tissue respond to the immediate CHARGE/pressure at their surface. Increased electrical charge will stimulate the cells which lay down new bone. This is an excellent way to increase bone density without putting undue stress on the body as with traditional compressive weight lifting. Especially good for anyone with arthritis or any degenerative bone/joints or osteoporosis who find traditional exercise painful or dangerous.I am sure the electrical currentstimulated all of my mitochondria, which is the energy powerhouse of the cell. The cell membrane permeability most probably increases, which aids in ALL cellular functions. I am sure some excess fluids were released from this mild current that tickled. I am sure anyabhorrent fibrous tissue was gently and evenly disrupted with the mild electrical current from the XBody technology. I did experience greater mobility and less minor morning pain the next day. This electrical stimulation gets things moving!! !…I hypothesise this electrical current would reset the neurotransmitters [ which control our feelings and emotions ] to some degree, why there is a feeling of peaceful relaxation afterwards. The XBody experience therefore has the potential to alleviate minor cases of depression in the case of imbalanced neurochemistry. I did notice an improved mental focus and increased alert wakefulness… The XBody technology can be classed as a very holistic application, as it is stimulating and uniting all systems in the body, unto a great depth.The electromagnetic tunnels of the meridians of acupuncture were stimulated generally as a whole… I am sure the XBody technology stimulates the Quantum Bio-electromagnetic Fieldto a large degree as a whole, which is the overseer and COORDINATOR of the WHOLE body’s/Biological functions… of our trillions of cells and the TRANSMITTER/broadcaster of the genetic code to the body [ its TRILLIONS of CELLS or more ] as a whole. Stimulation of the Quantum Bio-electromagnetic Field in any way will enhance a more coordinated and perfect cell renewal at the cell level for the body as a whole, which includes all systems of the body…This is why I KNEW the XBody experience would be life changing. This is the case with the XBody technology. I want it to be understood and appreciated so as many people as possible can benefit. This is how the 20 minute XBody workout is equivalent to an hour of gym workout. The amazing XBody micro-current stimulating the Quantum Bio-electromagnetic Field is probably the greatest thing that does the most for the whole Human system at once… Electrons are literally being added to the system. It is very important to be well hydrated with a good quality of water ahead of time. You are given water to drink during the experience and I would suggest to increase your fluid intake to a moderate degree afterwards. Another great thing about the XBody experience is you are doing more for the body with less obvious exertion and receive MORE benefits than if you would exert yourself with traditional exercise. The XBody way of stimulating the body is a WORKING SMART way of addressing your fitness goals in a very time efficient and time productive way in comparison with all other forms of exercise without electrical stimulation as I have explained above… The session ended with a gentle massage pulse that helped synchronise the system and help pump the byproducts of the activity along… The XBody information suggests the fat burning effects can last for a few days after the XBody experience. In my opinion, this feeling is due to the stimulation of the mitochondria at the cell level, resulting in increased metabolism, cell activity and energy [ATP]. . I can hypothesise this would be a non-toxic option for hormone replacement. I was mostly amazed and thrilled with the immediate change in my skin. In conclusion, the XBody technology is the most amazing, time and results efficient way of stimulating the body in all of the above ways. We need to remember that everyone is different with different awareness levels. I feel these results are most probable for everyone, but not everyone may be aware of these changes. I strongly feel the XBody technology will stimulate the body more intensely than the brain alone can with voluntary muscular movements of any kind in every case. The best thing is there is less wear and tear on the body in the process with the potential for more multiple results per units of time invested, compare to traditional exercise without electrical stimulation. 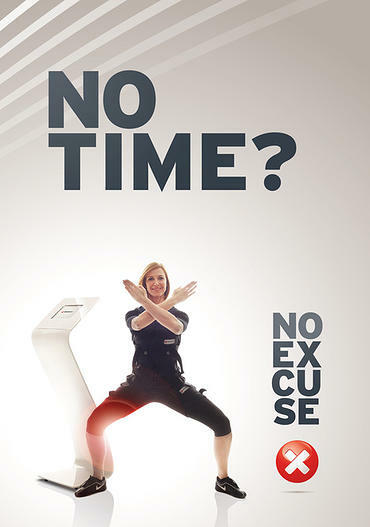 The XBody technology is truly the WORKING SMART way to achieve personal fitness goals. This is why choosing to utilize the XBody technology is asophisticated or wise choice to achieve your personal fitness goals, whatever they may be. The wonderful Amy and Norbert will happily assist everyone in their personal fitness goals as they themselves are experiencing and loving the multiple benefits of the incredible XBody technology as well.Thank you Amy and Norbert for bringing this amazing technology to Brisbane!! I went to the XBody Australia Fitness Salon located at 92 Commercial Road in Newstead and had a great experience, simple exercises but results are great. I feel my arms are firmer, so is my stomach and that after one session. My cellulite is slightly better too. I will continue with it and recommend it to my clients. There are so many people bound to long term bed in their house or in the hospital settings. There are many people use plaster cast for fractures long time. They do develop muscle weakening or wasting. Most of the time they don’t recover at all. There may be visible size differences on the muscles. Personal training tailored for each individuals needs carefully prepared by Sercan Dinc. He also provide a demo for the equipment if anyone wants to purchase. Best equipment for Personal trainers, gyms, spas and home use. I am very proud to be part of this energetic team. I hate Gym. I hate exercise in Gym. Many people pays for gyms and never turn up. I am one of them. i like skiing, skating… But not gym! Now i met XBODY, it is a fantastic invention. Space technology. I spend 20 minutes twice a week, after 4 sessions i lost 4 kg. I am one of the most difficult case with weight loss, i have PCO’s and hypothyroid conditions which reduce my metabolism. As all muscles work simultaneously, you’ll spend only just 20 minutes with training. The electrodes are placed directly on the body to each important muscle group; so all the impulses reach their target. It’s easy, and you can’t go wrong. As there are electrodes built into the training suit along the spinal column, those rarely trained muscles get worked as well. So muscles get stronger which can lead to the relief of back problems. Since it is an effective strengthening workout, it transforms how the body uses up calories. It is a very effective tool for weight loss and fat removal. The electric impulses work on the muscles directly, there is no pressure on the joints, so they are not over worked – as it is often the case with weight workouts. Glutathione, a known antioxidant popular for its skin whitening property, is the active ingredient in Skin Whitening Injections. A combination of glutathione and Vitamin C work effectively to provide patients with an overall lighter skin tone. Healthcare providers give glutathione as a shot (by injection into the muscle) for preventing poisonous side effects of chemotherapy and for treating the male infertility. It is injected twice a week intramuscular way, meanwhile advised to take high dose of vitamin c tablets. Glutathion injections are available at Pasha Clinic of Knightsbridge. Please contact 07967593615 by texting only for more information.